One of the most enduring home remedies is the lemon and hot water cure. Most people drink the juice of half a lemon in a glass of warm water, sometimes adding a teaspoon or two of honey. This is usually done on an empty stomach first thing in the morning. It is, however, wise to keep in mind that a balanced diet remains the cornerstone of reaching and maintaining one’s ideal weight, says Health24’s Dr Owen Wiese. Lemons probably originated in India and were brought to the West by Roman traders two thousand years ago. The zest of lemon in the kitchen brings out the flavour of just about any food, and we’re all familiar with the slice of lemon served with seafood. Lemons and limes became famous in the seventeen hundreds when it was found that they cured sailors of scurvy. Scurvy is caused by a lack of vitamin C and became known for causing bleeding gums and loosening teeth among seafarers. It is a digestive aid and helps the body to eliminate toxins. A glass of lemon juice and water contains hardly any calories. It stimulates your immune system. Lemons have an alkalising effect on the body. Lemons are a great source of vitamin C which helps the body to build collagen and fight diseases like the common cold. They also contain significant amounts of potassium, phosphorus, calcium, magnesium and citric acid. 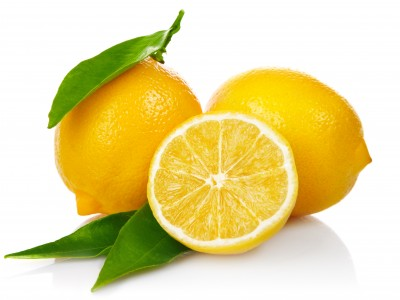 Lemon juice prevents the growth of bacteria. It helps to eliminate uric acid, thereby reducing inflammation and pain in joints. Lemon juice helps to strengthen the liver. Although it is acidic it can help to relieve heartburn. It can help to prevent the formation of wrinkles and acne. Lemon juice can help prevent eye problems. It can also help the stomach produce digestive juices. Lemon juice can, however, damage the enamel on teeth. It is therefore better to drink it through a straw and/or rinse your mouth after enjoying a glass of this healthy beverage.